The title links to an article that struck a chord with me. 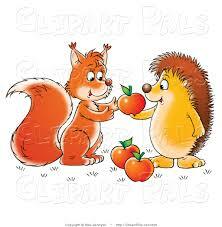 Are you a creative fox or a diligent hedgehog? The world won’t work without both. As I commented on the article. Foxes and hedgehogs will suffer if you try and swap their roles. A serial entrepreneur acquaintance of mine called this out to me a couple of years ago. He noted incredible increases in stress and dramatic dips in productivity when he or other people got this wrong. Much lip service is paid to playing to employees’ strengths. In practice, as the article suggests, people normally want someone ‘a bit’ creative. Someone to spin their own favourite ideas back at them with an exciting edge. On the flip side of the coin, folk following formulaic people management edicts will try and set things like ‘Stretch Objectives’ for folk perfectly happy doing a cracking job in the role they’re in. All businesses would crumble without those people as their foundation. See if you enjoy it as much as I did (in a shouting at the computer kind of way). Oh, and next time you’re shifted into a role that bores you to tears, or scares the heck out of you. If, despite best efforts, you bomb. Be honest with yourself about your characteristics and your fit for the job. If you’ve always done well before, even been pegged as a high flyer, you could be a fox that’s been jammed into a hedgehog sized hole. Likewise, to you people managers out there. Is it your previously promising staff member who’s screwed up, or is it you? No Gender Gap in Tech Salaries…..Missing the Point!